Swedish DJ and producer, Tim Bergling – as known as – Avicii passed away today. He has been found dead in Muscat, Oman on April 20th. A huge, devastating loss for the electronic dance music scene. 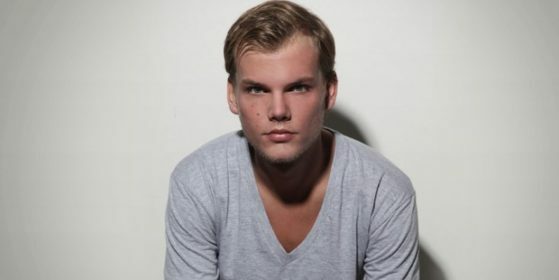 Tim Bergling was an international superstar. He has been performed on the mainstages of the biggest festivals and clubs for years. Avicii started to producing electronic dance music at age of 16 and he already started touring 2 years later. As he said: “It came with a price, like a lot of stress and anxiety (…) but It was the best journey of my life.” He started his career with releasing his music on Laidback Luke‘s forum. He got his first Grammy nomination in 2012 for “Sunshine”, co-produced with David Guetta. In 2013 he got his second Grammy nomination for “Levels”. He was placed in top 10 on the DJ Mag poll 5 years in row during his prime (2011-2015). In these years, he earned 250.000$ a night and he became one of the best paid DJs of the scene. He has been announced his retirement in 2016 due to health issues. Avicii was hospitalized in 2014 in Miami and he had to cancel his performance at Ultra Music Festival in attempt to recover. Tim was suffered from acute pancreatitis owing, which is potentially a life threatening inflammation. He had to have his gallbladder and appendix removed in the same year. David Guetta, Calvin Harris, Diplo and many of his close friends tweeted about the devastating loss and showing their love and respect. The local police and media in Oman not released any report yet and possibly no further statements will be given. Avicii’s family ask everyone to respect their privacy in this difficult time. Our thoughts go out to his friends and family!